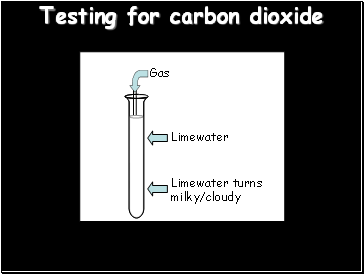 Carbonates are compounds containing carbon and oxygen. 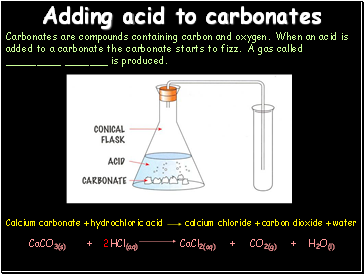 When an acid is added to a carbonate the carbonate starts to fizz. 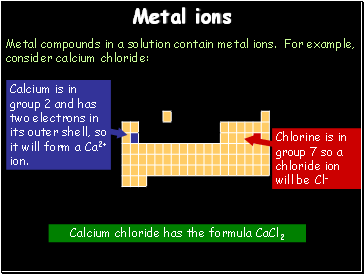 A gas called _ _ is produced. 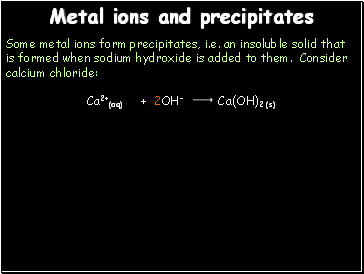 Add a few drops of dilute nitric acid to the chloride ion solution followed by a few drops of silver nitrate. 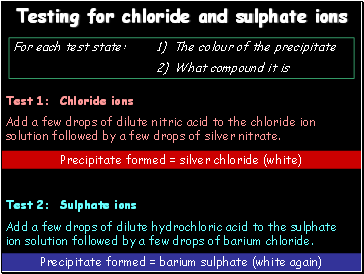 Add a few drops of dilute hydrochloric acid to the sulphate ion solution followed by a few drops of barium chloride. 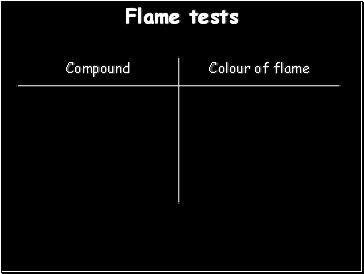 Add sodium hydroxide and test the gas using damp litmus paper – ammonia gas turns damp litmus paper blue. 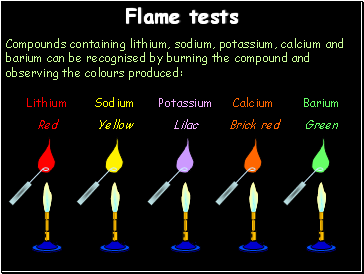 Add sodium hydroxide followed by aluminium powder and test using damp litmus paper. 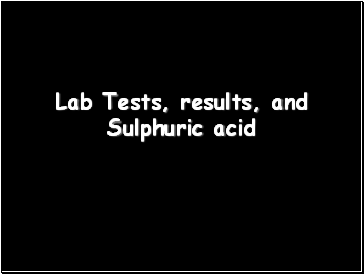 Add a few drops of dilute nitric acid followed by a few drops of silver nitrate solution. 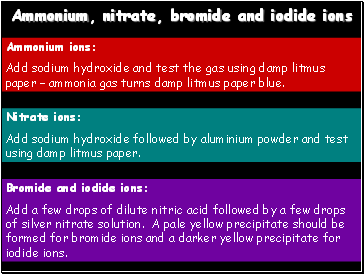 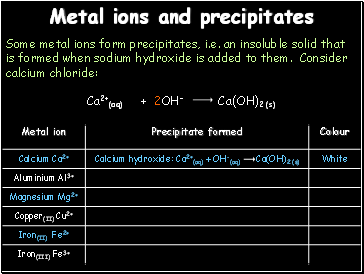 A pale yellow precipitate should be formed for bromide ions and a darker yellow precipitate for iodide ions.